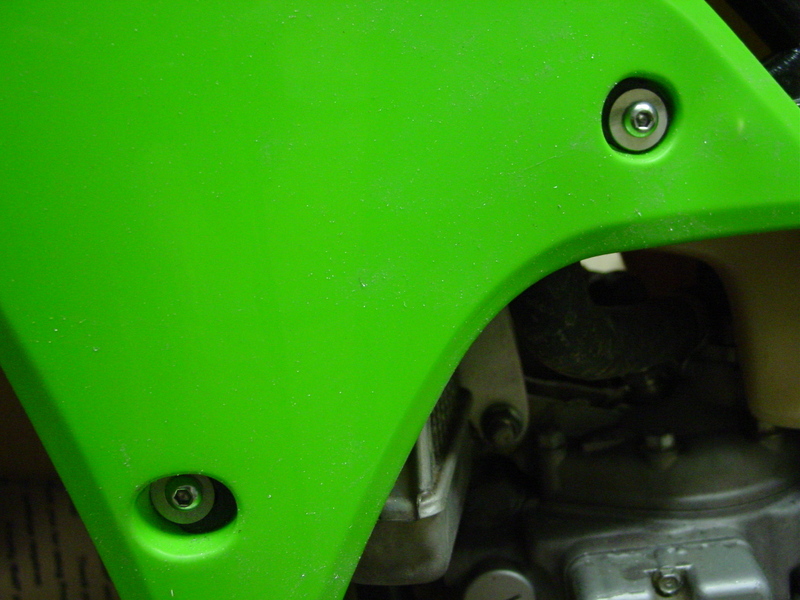 It was much easier than I expected to get the 450F shrouds bolted up. 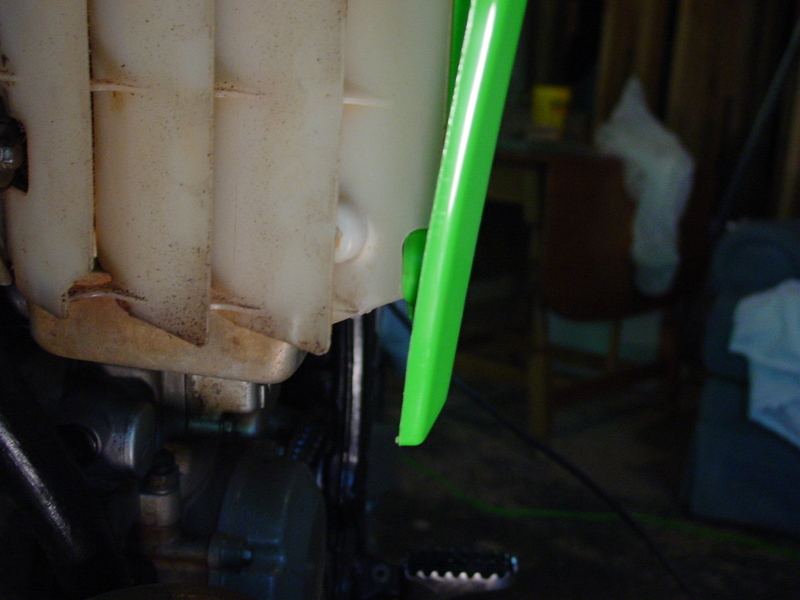 The only other modification was to the vent louver. 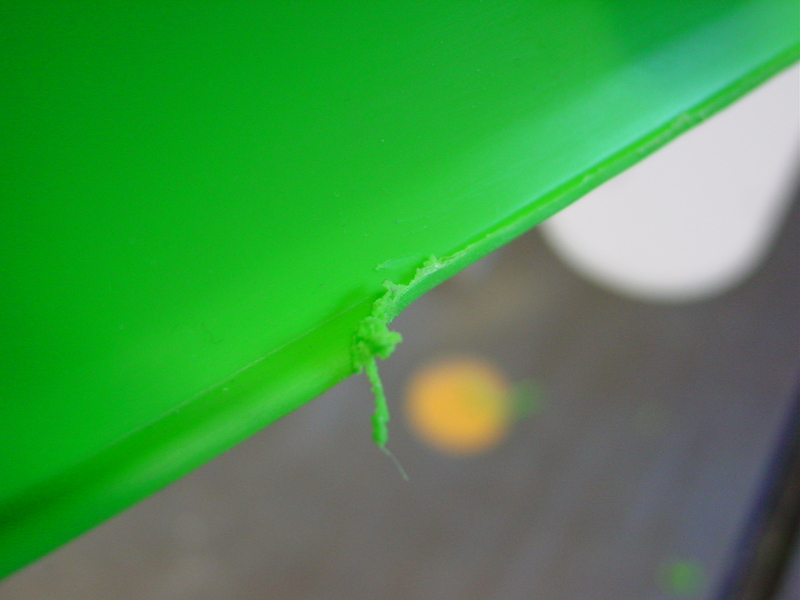 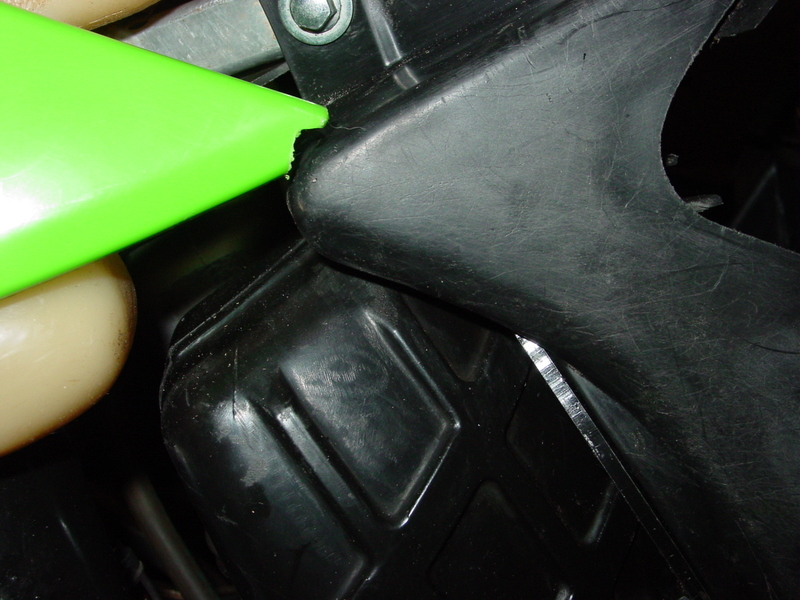 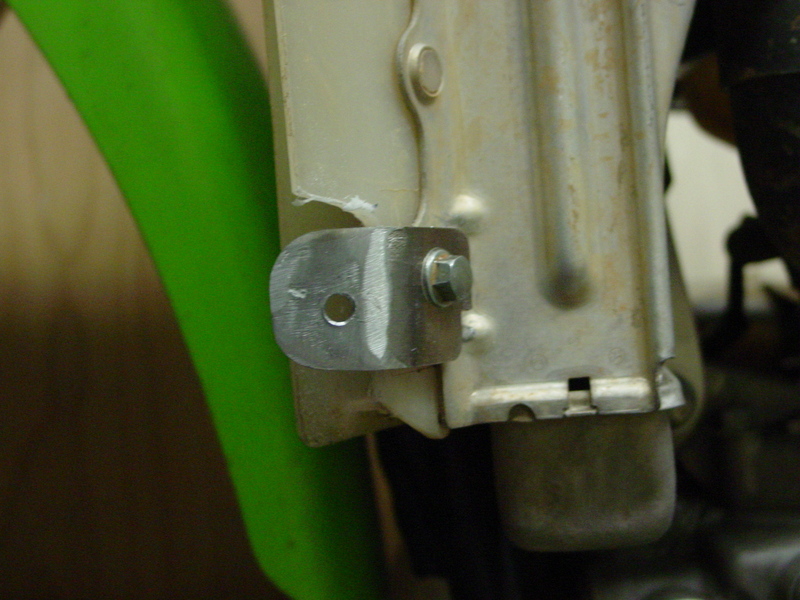 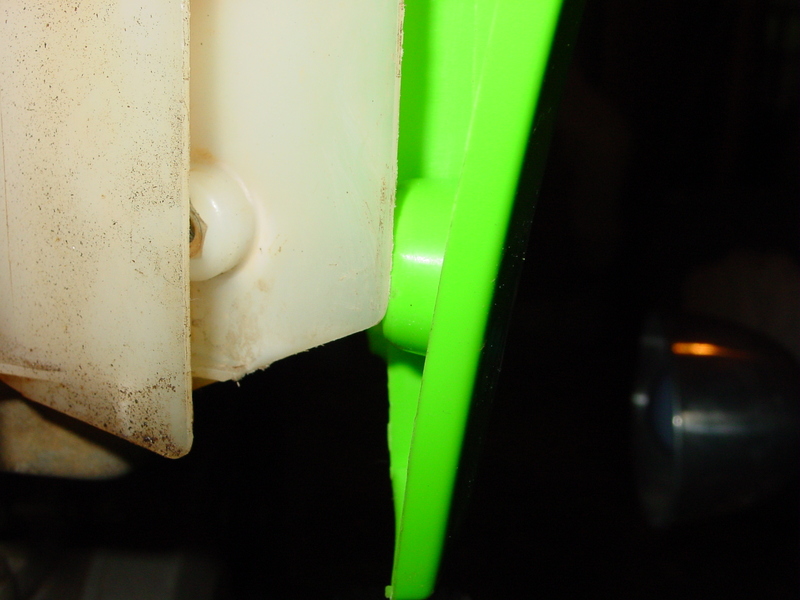 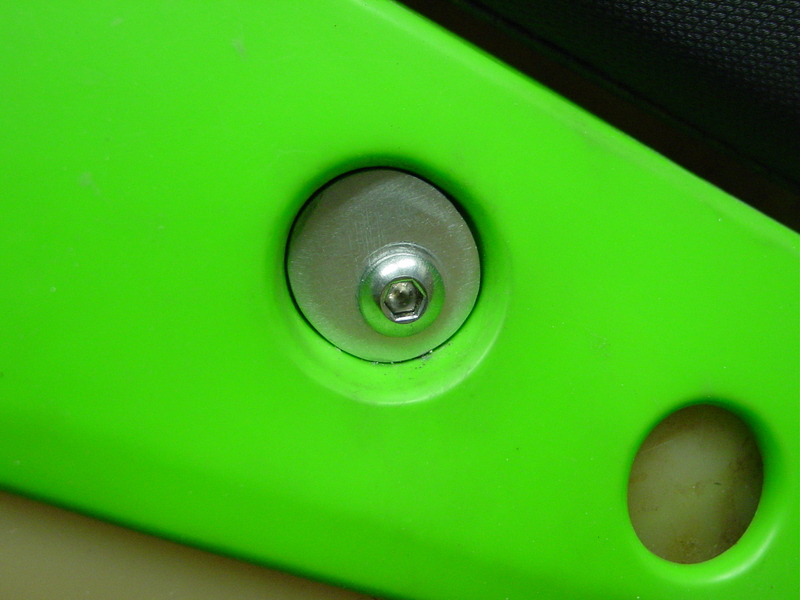 The louver is hitting the bolt mounting recess. 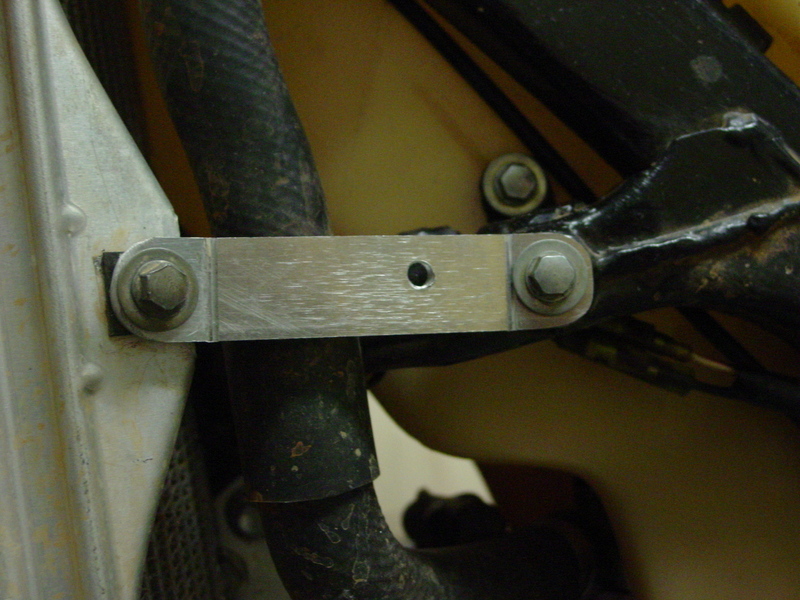 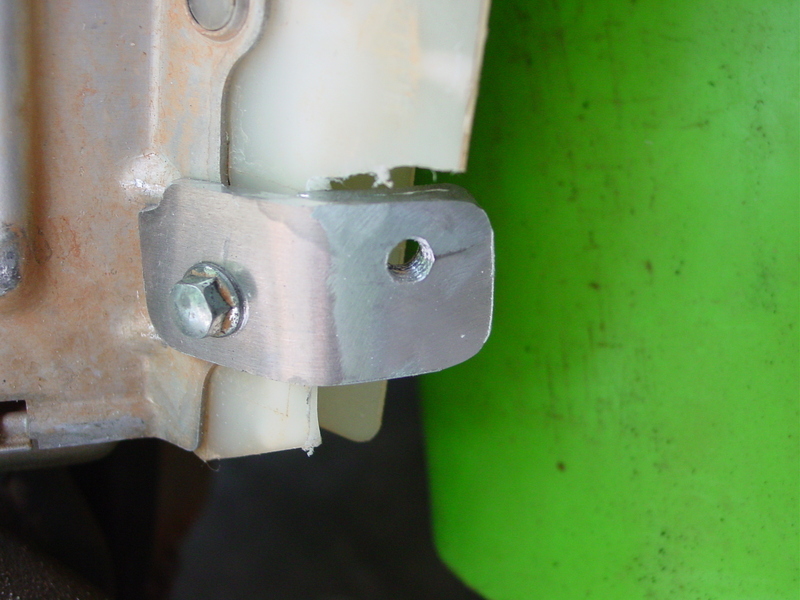 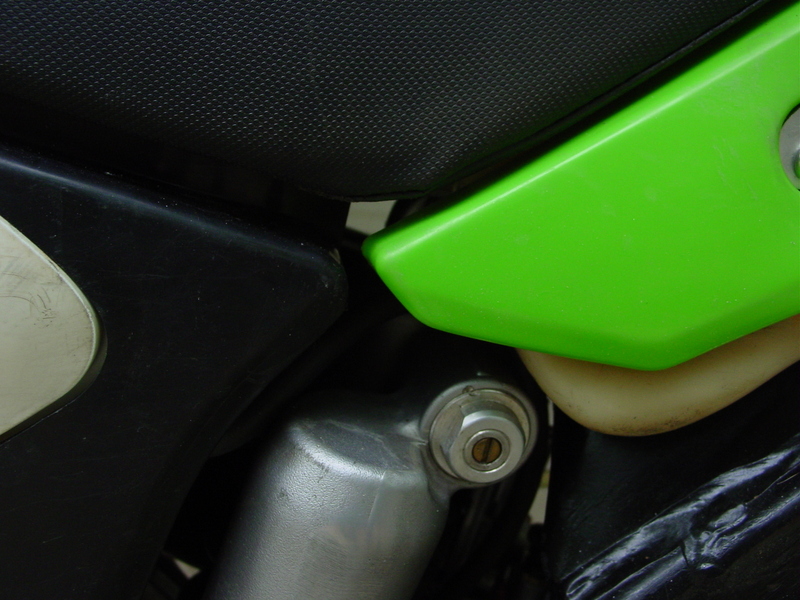 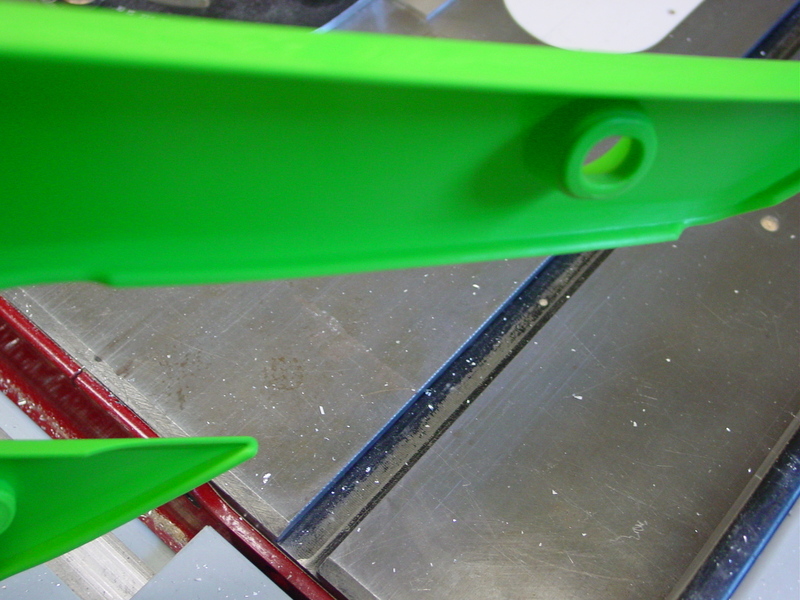 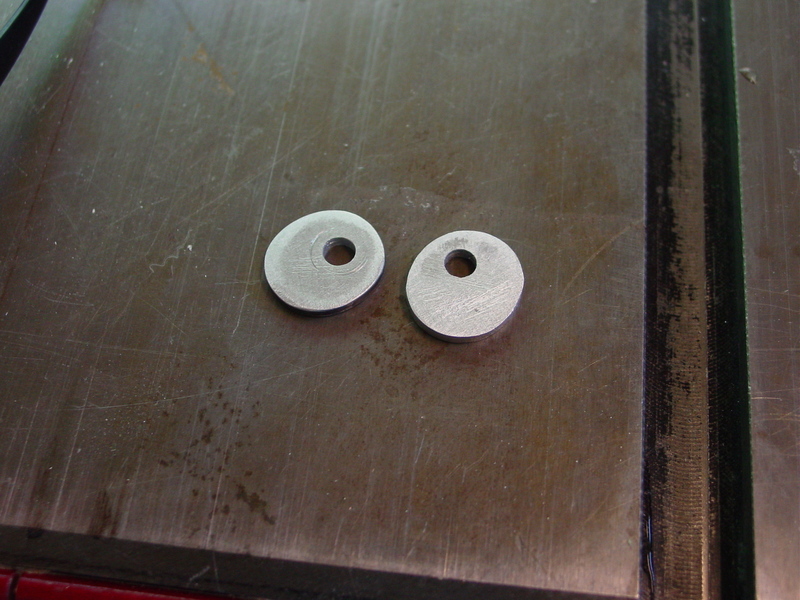 The lower radiator mounts looked like this. 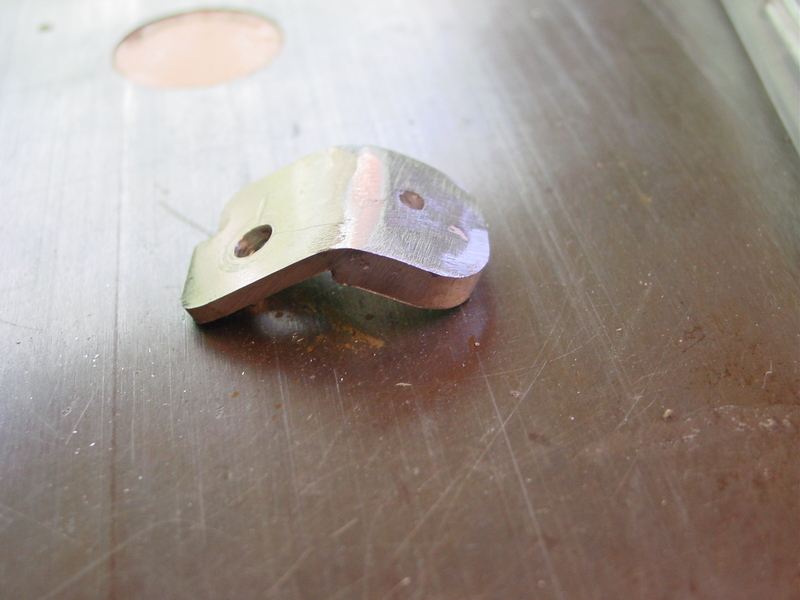 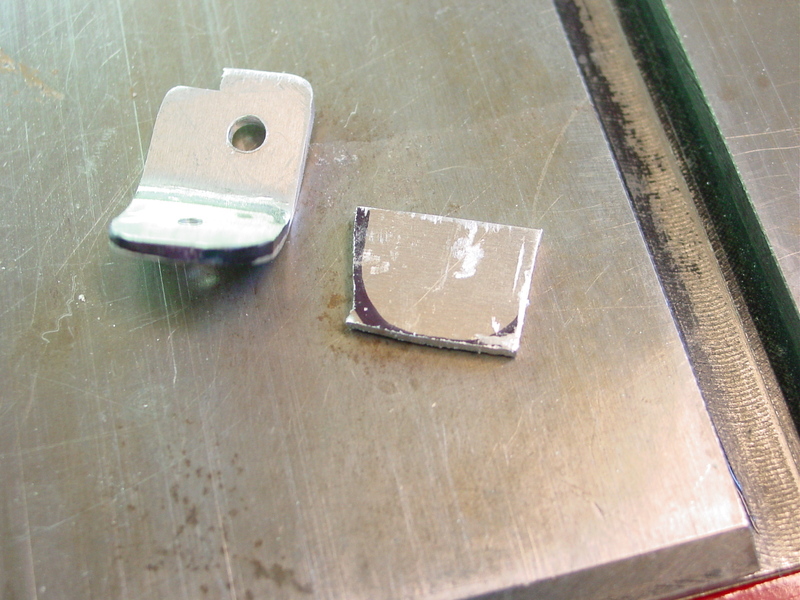 I aluminum soldered a second piece of aluminum to the section of the mount that the bolt attaches to. 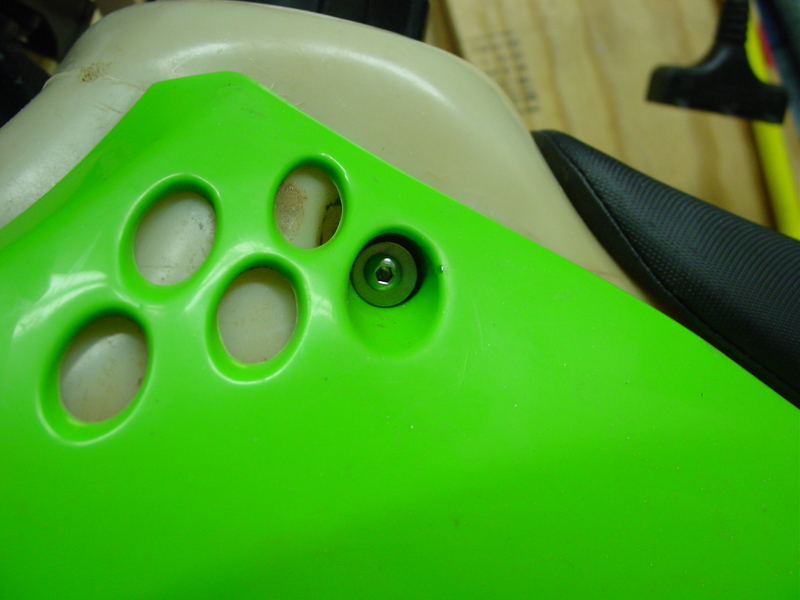 This gave me a thicker piece to thread/tap. 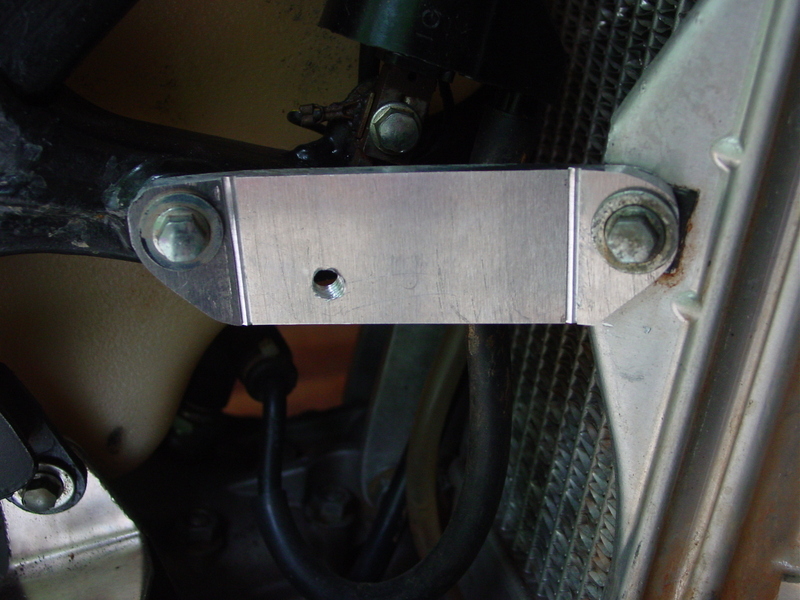 I replaced the original radiator braces with some aluminum ones made from 1/4″ aluminum. 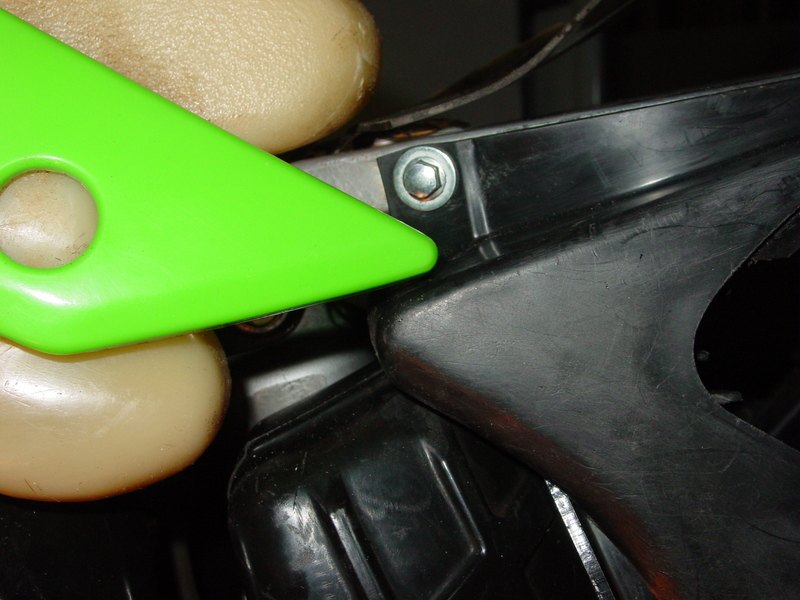 The left and right sides weren’t symmetrical. 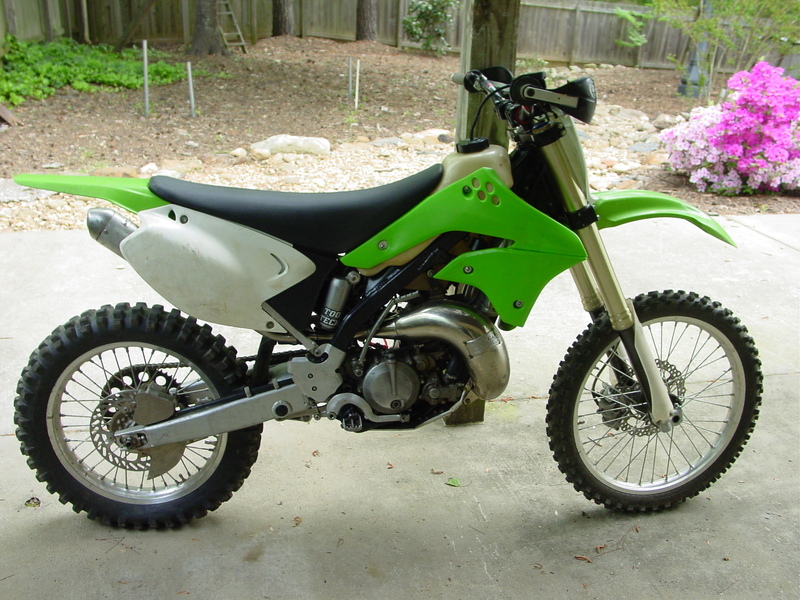 This entry was posted on April 27, 2013 by Harold Bawlzangya Racing. 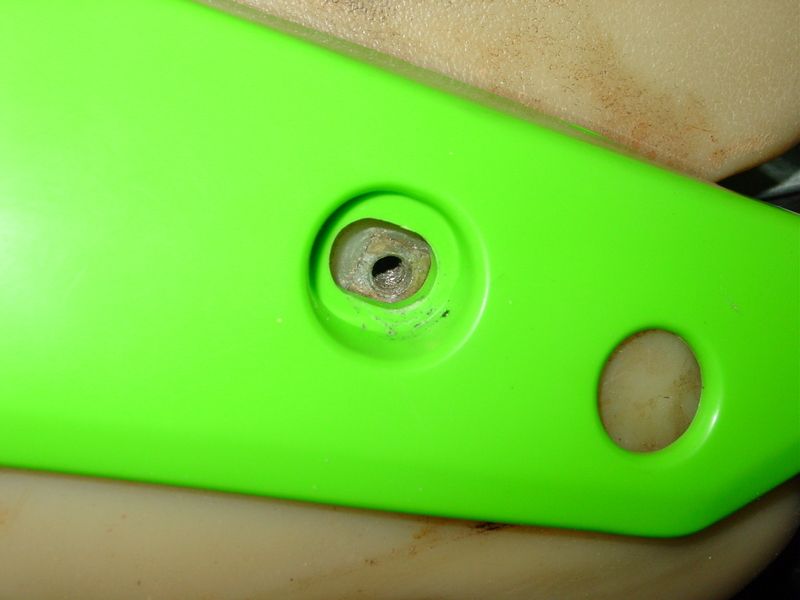 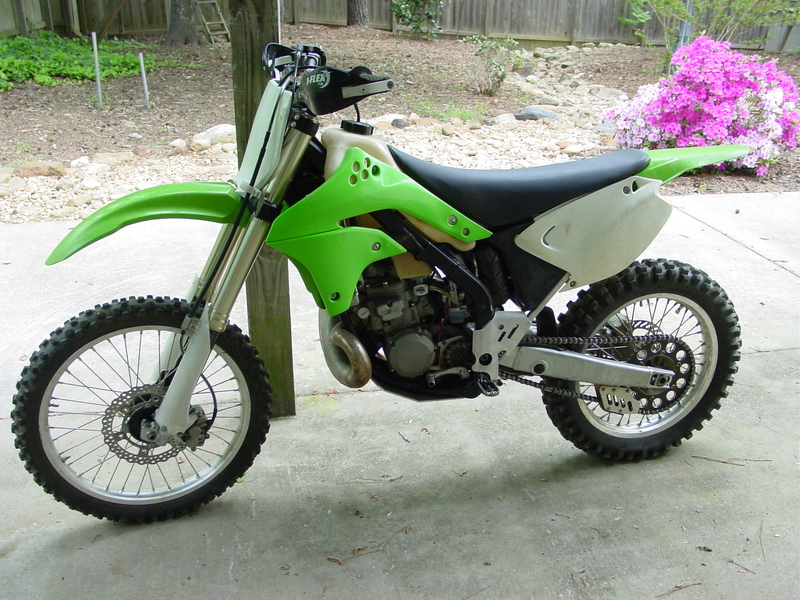 It was filed under Just the usual stuff and was tagged with KX450F shroud conversion.